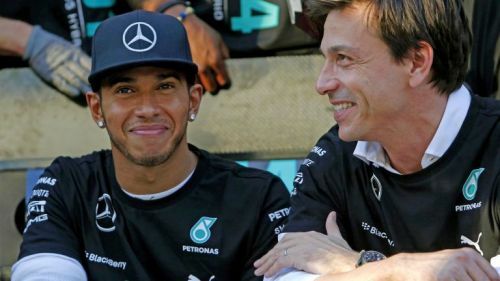 Mercedes boss Toto Wolff has said that Lewis Hamilton still doesn't get the recognition he deserves and it is probably down to envy. A fifth world title and certainly his best-ever has still not brought his lead driver all-round praise and adulation. 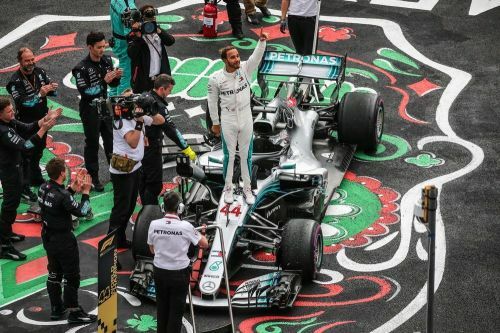 En route to equalling the great Argentine Juan Manuel Fangio on 5 titles, Hamilton has racked up seriously impressive numbers in his career till now. He has the most pole positions (83) in history and with his 73 wins is now very close to the tally of Michael Schumacher 91 – a record that everyone thought was unbeatable at one point in time. While Hamilton has the respect of the paddock - winning the inaugural Drivers' Driver of the Year trophy in 2018, he hasn’t been able to get widespread appreciation from the fan community. He also finished as the runner-up in BBC’s Sports Personality of the Year awards — which is decided via public vote — to Tour de France winner and fellow Brit Geraint Thomas. Hamilton has, of course, his own legion of fans and a very vocal fan base, but there are a sizeable number who don’t wish to extend him the credit he deserves for having excelled with such consistency since his debut in 2007 with McLaren-Mercedes. "Not everybody recognizes a great career, a great sportsman or greatness overall while it's happening. There is a lot of negativity and envy whilst it happens. It's only being recognized once a career has ended as having been really great and I don't know why that is. "We are extremely privileged in following a career of maybe the greatest racing driver of all time. We are live spectators, live witnesses of a great racing driver at the peak of his abilities." Of course, a team principal can be biased towards his star driver, who he believes is one of the best sportspeople to have come out of Britain, but Wolff does make a point to ponder. Quite like Hamilton now, Michael Schumacher’s long list of achievements were not given the recognition amongst the community despite him retiring as statistically the greatest Formula1 driver ever. The tide turned only after he retired. Wolff pinpointed the reason for this being that individual success is perceived differently in Europe than it is in America. Wolff is of the opinion that while in the US, people are inspired by a success story, in Europe it triggers envy and negativity. This is not to discount the fact that Hamilton is prone to foot-in-the-mouth comments too, which makes him a polarizing personality. After a controversial video last Christmas, Hamilton purged his Instagram account for a clean start. "He is that exceptional sports personality also because he polarizes. And I think at the end of the day, he's thinking that he'd rather polarize than be just in the middle and boring. He stays true to himself and his values and that is the most important thing." Like Hamilton, his boss has also now given a statement that will be dissected for sure, by fans and detractors alike.